The term “elder care” and “elder law” generally refers to issues which deal with the social and financial challenges related to the process of getting older. As the “Baby Boomer” generation approaches retirement and the members of the “Greatest Generation” are approaching the sunset of their lives, individuals, parents, children and families are faced with an ever increasing set of health and lifestyle changes, retirement issues, social security, Medicare and Medicaid questions, and the challenge of preserving and protecting assets, including the home, which have been earned and accumulated over a lifetime of hard work and sacrifice. We can help you when you simply do not know where to begin. Is independent living no longer an option? 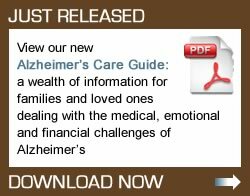 Does a loved one need help with finding a personal care or assisted living facility? What about in home care and available government and other public, private or charitable benefits? 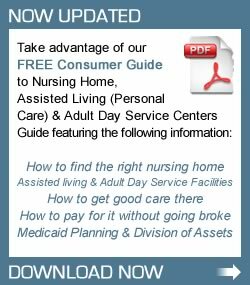 What should I look for in a nursing home? Will I lose my house? What can I do to protect and preserve my assets from the substantial costs of nursing home monthly care? How does one apply for public benefits, such as Social Security, Supplemental Security Income, Social Security Disability, Medicare, Medicaid and long-term care medical assistance? We can help provide answers and assistance. We can develop and implement plans for your personal and financial care and well being. We are available to assist and guide you through the elder care journey when healthy independent living starts becoming a challenge and the need for change and transition becomes a reality. We can help you and your loved ones in these elder care and elder law matters by using our experience with dealing with the real and practical issues of aging and our legal knowledge and expertise in the drafting of important and necessary legal instruments, such as wills, trusts, broad form durable powers of attorney, durable health care powers of attorney, advance health care directives (living wills) and by designing and implementing estate and long-term care plans to achieve wealth transfer and the protection and preservation of money, property and assets so that lifestyles and needs can be achieved, realized and enjoyed. Of course, all plans and strategies are in compliance with the current state of applicable federal, state and local laws as well as court decisions which allow individuals to plan for, protect and preserve their life savings. All advice and plans which “shelter” assets from nursing home care costs are permitted by law and are tailored to the specific needs of each individual client. Mr. Brown is a member of the National Academy of Elder Law Attorneys.